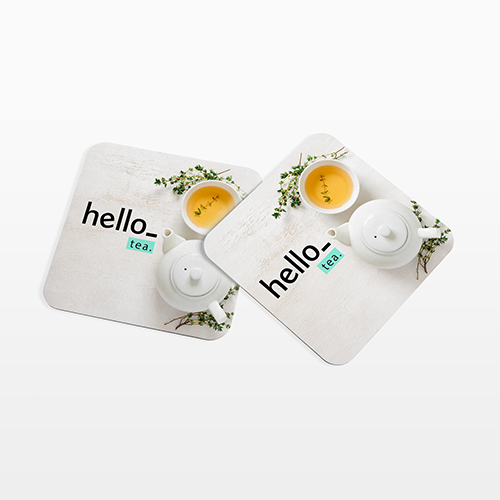 Get your very own personal coasters from Helloprint and add some fun to your table! 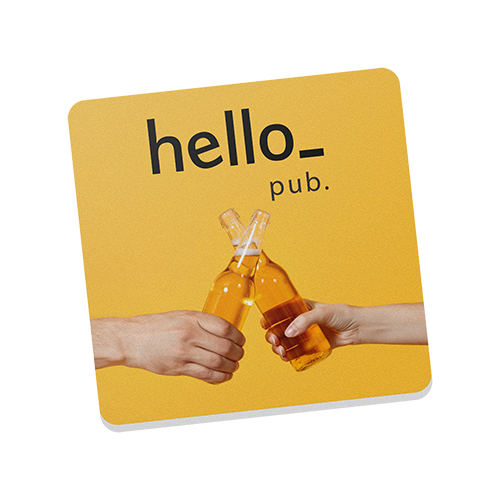 These coasters are perfect for promoting specials in your restaurant and pub or simply ensuring your surfaces are kept clean! 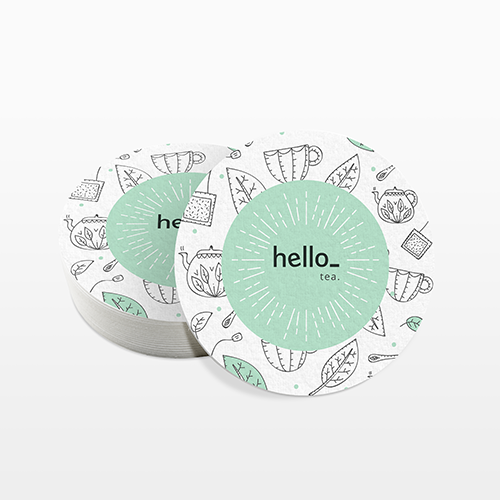 Our coasters are made with textured carton card and can be printed with your logo or design! Order them today! Please note that we cannot print pure white on Coasters. This means that any white in your design will be the colour of the coaster's material (an alabaster-white colour). With double sided printing the back-side could have a small deviation in positioning compared to the front-side. Keep this in mind with your design. 3 How many coasters would you like to order? For coasters the fonts should be at least 10 pt. 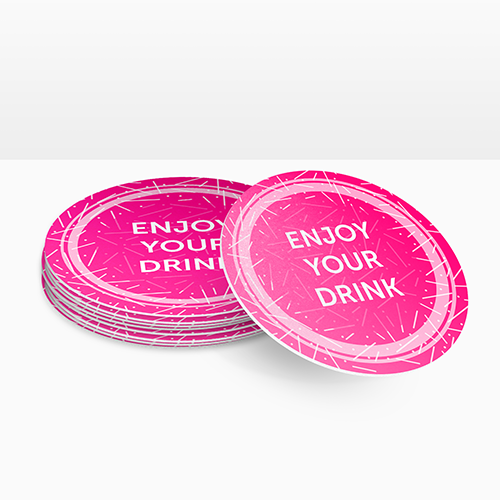 Coasters are very popular as promotional materials. It can be used in bars or other hospitality environments and can be printed according to your wishes. For the delivery of your coasters we use multiple carriers. Because of the highest reliability, in most cases we use UPS or DPD. 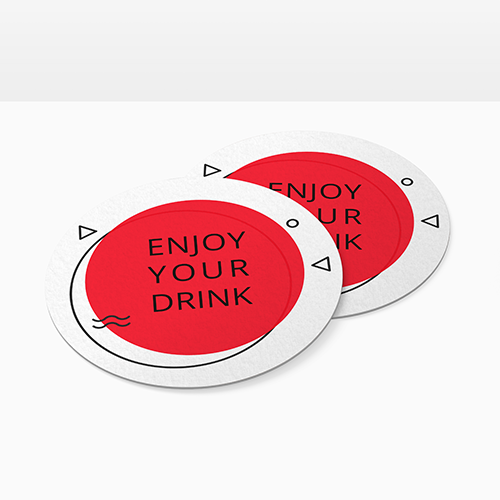 The coasters that is chosen in most cases can be selected via our website. Can my coasters have a bleed-line in the design? Oui, les sous-verres peuvent avoir une marge autour de votre design. Ils n'ont pas de ligne blanche standard autour de l'impression. Yes, your coasters can have a bleed-line in their design. They do not have a standard white line around the print. 805 gms felt board: A firm, structured type of carton which absorbs moisture very fast. The coasters have a thickness of 1,5 MM. What is the basic colour of the felt board on coasters? The colour of the felt board is off-white. Note: white parts in your design are not printed. These will have the colour of the felt-board: off-white.